Toward the end of the 16th century, the successive efforts of three powerful warlords, Oda Nobynaga, Toyotomi Hideyoshi, and Tokugawa Ieyasu, finally brought Japan under a single, unified authority after one-hundred years of civil wars and civil disorder. The profound impact of the country’s new engagement is evident in many areas of Momoyama-period art, which reflected a new era for the nation. 1 - The new military aristocracy needed its own art. The creative energy of Momoyama times shows in all kind of artowrks made for the new patrons. Momoyama paintings, lacquer, metalwork, etc, show a great visual impact, as they were intended as dramatic statments of the power and importance of the samurai warlords who commissioned them. This objective underlies the bold brushwork and the elaborate use of gold, the ultimate symbol of wealth and power. 2 - Tea ceremony originated one of the most exciting form of art. Tea drinking had been popular in Japan since the 12th century, but the association with Zen culture aided the spread of tea ceremony among warrior class. Chanoyu, the Japanese term for tea ceremony, involves much more than just drinking tea and many items and artworks are used. All items, ceramics being the most important, were made with a subtle, simple, yet elegant shapes and decorations, according to the wabi-sabi taste popular among samurai. 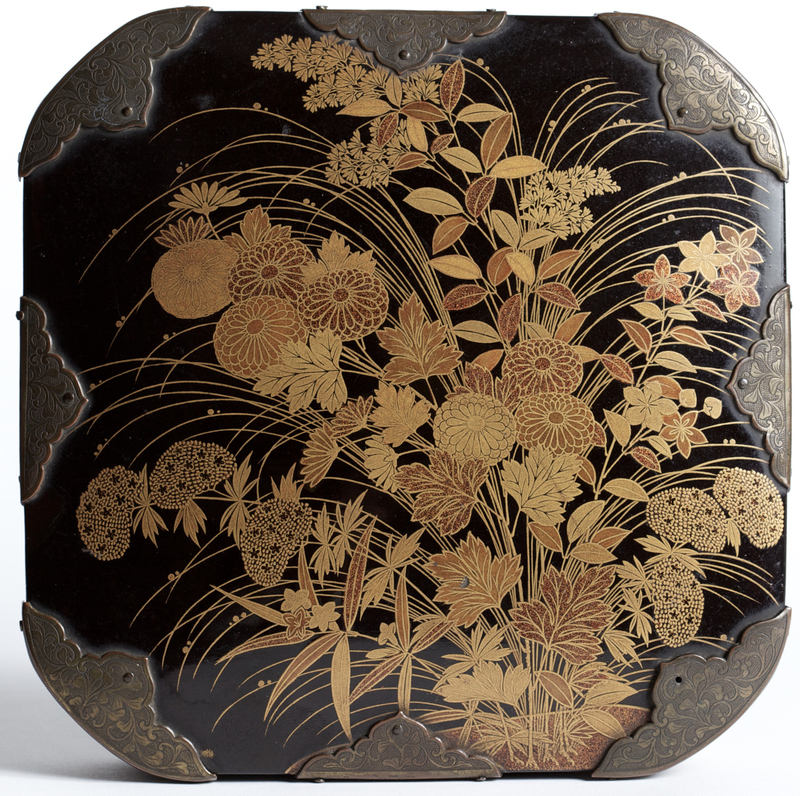 3 - Momoyama period played an important role in the development of Japanese lacquer. The vast castle-building projects of Momoyama period set the stage for a dramatic increase of demand for lacquerware. The most important style developed for samurai patrons of this period is called Kōdaiji maki-e and originated in the mausoleum established for Hideyoshi by his wife at Kōdaiji temple in Kyoto. This style favors designs of autumn grasses and flowers, with lavish gold design over a black background. 4 - Samurai armor remained simple. As armies expanded in size and battle tactics changed, armorers made technical innovations, and samurai suits of armor became more lightweight and fexible to allow quick body movements. Hence, comparing to medieval armor, a Momoyama samurai suit looks much simpler, and even if samurai warlords became wealthy, unnecessary decorations were not added. 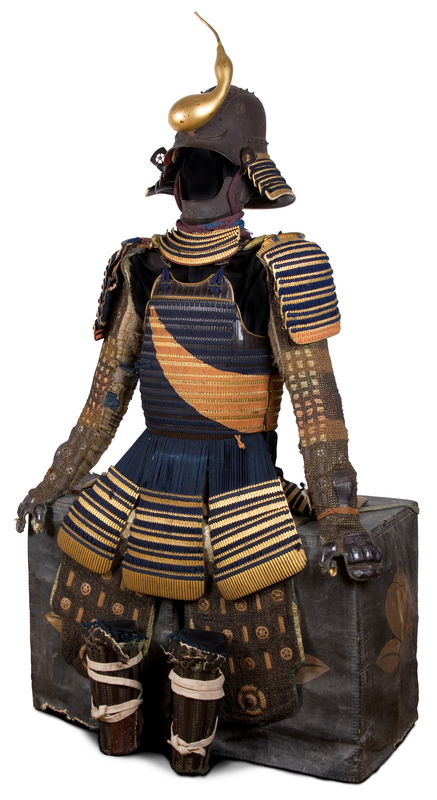 It is only during the Edo Period that samurai looked back to older armor and started using enriched suits. 5 - Europeans get to Japan. From 1542 to 1614, Europe and Japan were involved in a commercial relationship and cultural exchange. Europeans were interested in Japan’s precious metals in exchange for their technology on firearms, at that time almost unknown in Japan, which was in the middle of a civil war. Within a year after the first trade in guns, Japanese ironsmiths managed to reproduce the matchlock mechanism and mass-produce the Portuguese guns. Another important milestone is the arrival of the leading Jesuit Francis Xavier in 1549. Catholicism progressively developed as a major religious force in Japan, untill Tokugawa Ieyasu's firm interdiction of Christianity in 1614. All artworks made for Jesuits in “Nanban” style are hence to be considered from the Momoyama period.